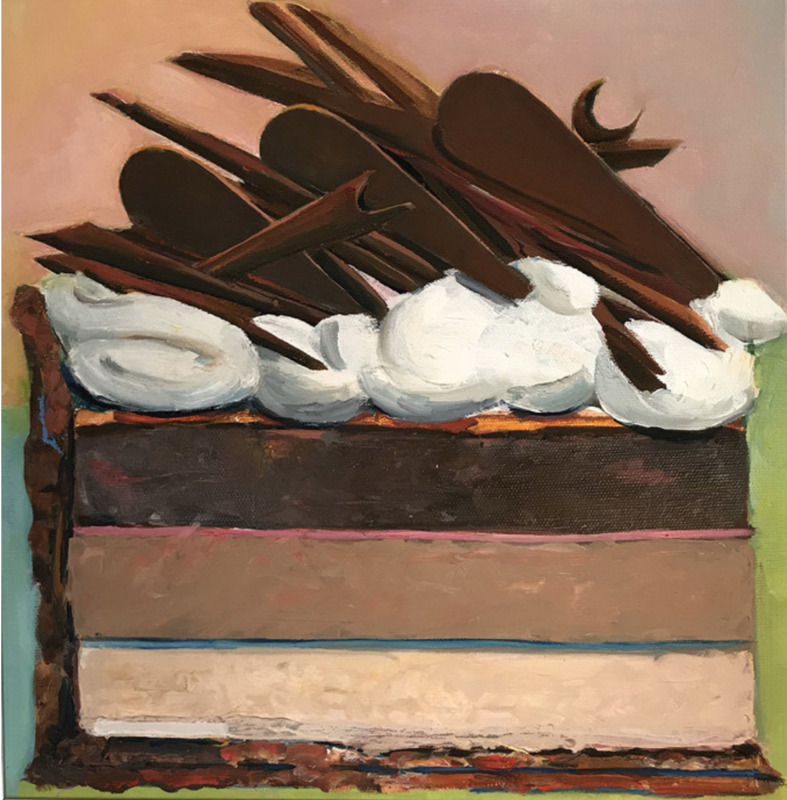 P. Ebel "Cheesecake with Chocolate Curls"
I've heard that a picture of a scrumptious dessert can satisfy your craving for something sweet! Or does the picture just act like an earworm in your brain leaving you instead craving something sweet? The oil paintings Cheesecake with Berries and Cheesecake with Chocolate Curls are playful and colorful and at least delight your visual sense. They relay an important message about being present in the moment when enjoying the taste of something delicious. The luxury of indulging in rich and creamy desserts should not be experienced without being fully present in the moment, it is a fleeting moment that one would not want to miss!